A complete Pedagogical book in English to take you from a complete Beginner to an intermediate Duduk Player! Over the last 3 years, I’ve spent countless hours researching and developing my knowledge & playing skills on the Armenian Duduk. After receiving literally hundreds of Emails & private messages on YouTube, and seeing a big need for literature in English from the community online of budding Dudukists, I have decided to take that knowledge and expertise, and compile it into a “guide” of sorts. 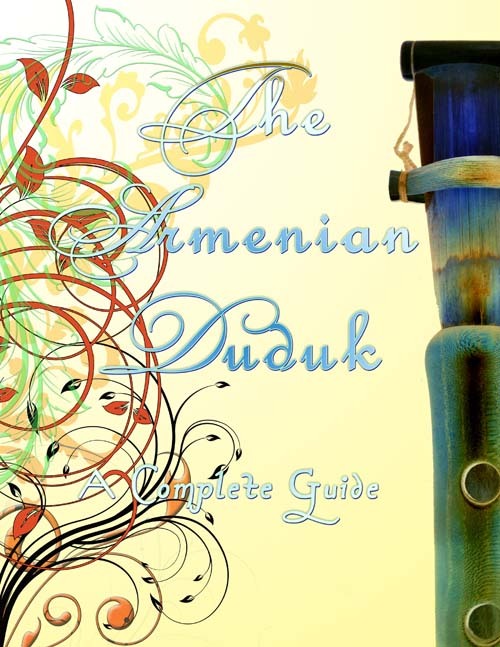 The guide is carefully written and arranged, and contains information and exercises to take a complete beginner with no prior musical background, to that of an intermediate Duduk player. The book starts with the fundamentals: how to hold the instrument, correct embouchure technique, and exercises and drills to develop good finger technique and agility. From then on the book delves into more exotic sounding scales, Armenian music, and Middle East music theory, introducing the Maqamat & Arabian rhythms. system of Azerbaijani folk music that was brought over by Georgy Minasov, and adopted & absorbed into the Duduk repertoire. The guide is available in both Digital & Printed copies.